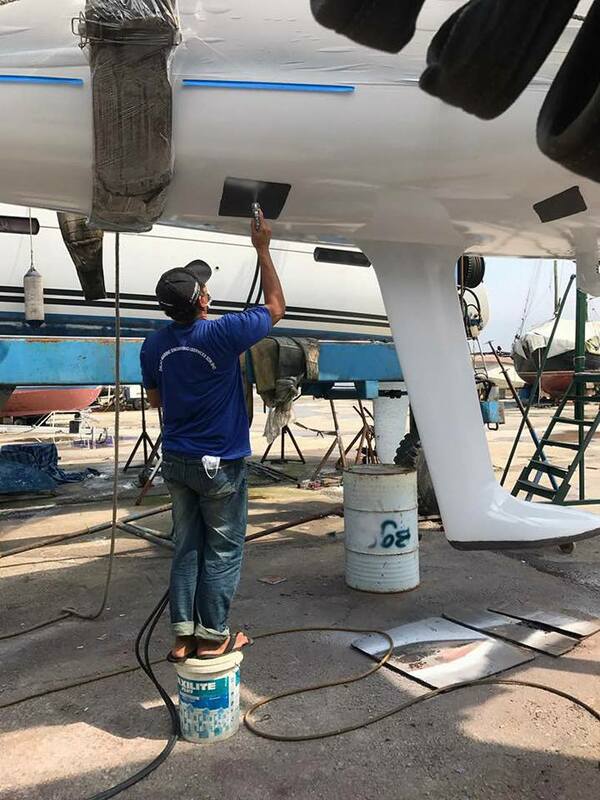 Team pro Sail Asia is doing a great job in Singapore with Neosil. We are happy to show you the application process in the pictures below. Receiving feedback on our products such as: "The bottom is arguably more shiny than the top sides now!" and "Hard to believe that this is an anti-foul coating! " gives us a great rush! Thank you Team Pro Sail Asia!